Bathrooms are our most common project and are a great investment into your home, and not to mention who doesn’t love a great tiled walk in shower? We handle every step of the project for you with every product being picked by you. The customer controls every aspect of the project so the end product is everything you dreamed of. 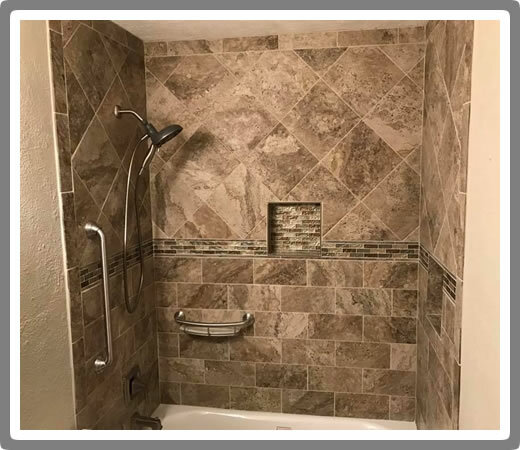 We specialize in completely custom tile walk in showers with every accessory you can imagine to simple replacements or old or damaged fixtures. In keeping with our commitment to total client satisfaction, JC builders Inc always treats our clients with the highest level of professionalism from the first meeting to after we have finished. We approach every bathroom remodeling project with quality and care which has earned us our outstanding reputation and allowed us to lead the industry in design and remodeling excellence. We are Energy Efficient Product Specialists and incorporate products that will be more energy efficient for your home.